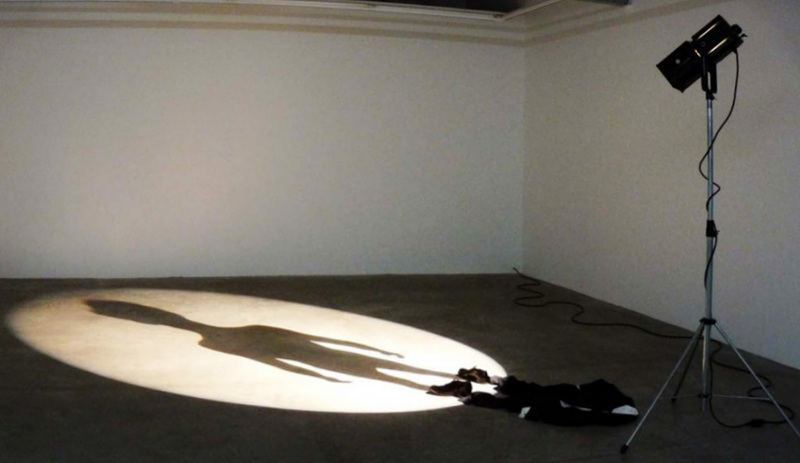 Note: I mentioned last Tuesday an article I wrote last November (2015) on the blog of a research project (Inhabiting and Interfacing the Cloud(s)) that develop around the thematic of the "sublime" and its relation to contemporary technology. In particular, in the frame of this research project, as a source of critical inspiration for a workshop we were preparing to lead with students at that time (critical because "magic" in the context of technology means what it means: tricked and not understanding, therefore believing or "stupefied"). For the matter of documentation, I reblog this post as well on | rblg as it brings different ideas about the "sublime" related to data or data centers, creation and contemporary technology in general. It may be a bit hard to follow without the initial context (a brief by the invited guests, Random International and the general objectives of the project), but this context can be accessed from within the post -below-, for the ones interested to digg deeper. As a matter of fact, this whole topic make me also think of the film The Prestige by Christopher Nolan. In which the figure of Nikola Tesla (played by "The Man Who Fell to Earth himself, a.k.a. David Bowie) is depicted as a character very close to a magician, his inventions with electricity being understood at the margin between sciences and magic. Following the publication of Dev Joshi‘s brief on I&IC documentary blog yesterday (note: 10.11.2015), I took today the opportunity to briefly introduce it to the interaction design students that will be involved in the workshop next week. Especially, I focused on some points of the brief that were important but possibly quite new concepts for them. I also extended some implicit ideas with images that could obviously bring ideas about devices to build to access some past data, or “shadows” as Dev’s names them. By extension, we could also start to speak about “digital ghosts” as this expression is also commonly used (not to mention the “corps sans organes” of G. Deleuze/F. Gattari and previously A. Artaud). 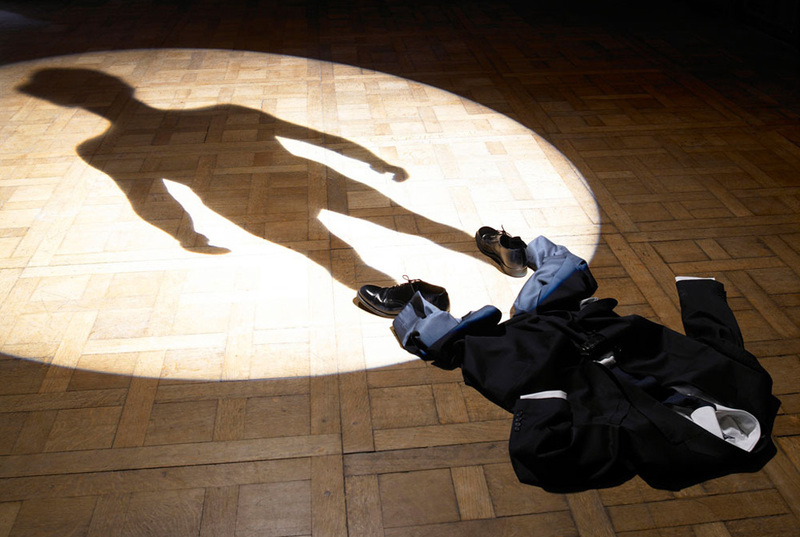 Many “ghosts”/facets of ourselves? All trapped online in the form of zombie data? Your digital ghosts are trapped on islands around the cloud – is there a way to rescue them? Maybe they just need a shelter to live in now that you have moved on? … or a haunted house? What about then to work with inspirations that would come from the spiritualism domain, its rich iconography and produce “devices” to communicate with your dead past data entities? Fritz Lang. “Dr. 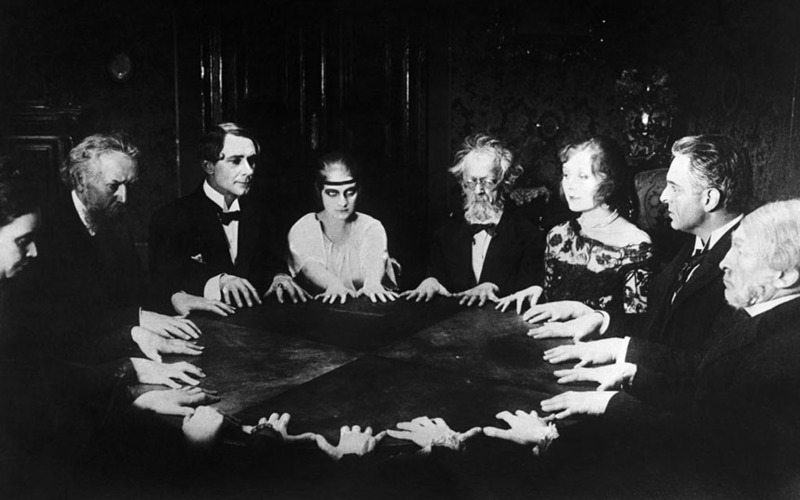 Mabuse, the Gambler”, movie, 1922. Or even start to think about some kind of “wearables”, and then become a new type of fraud technological data psychic? 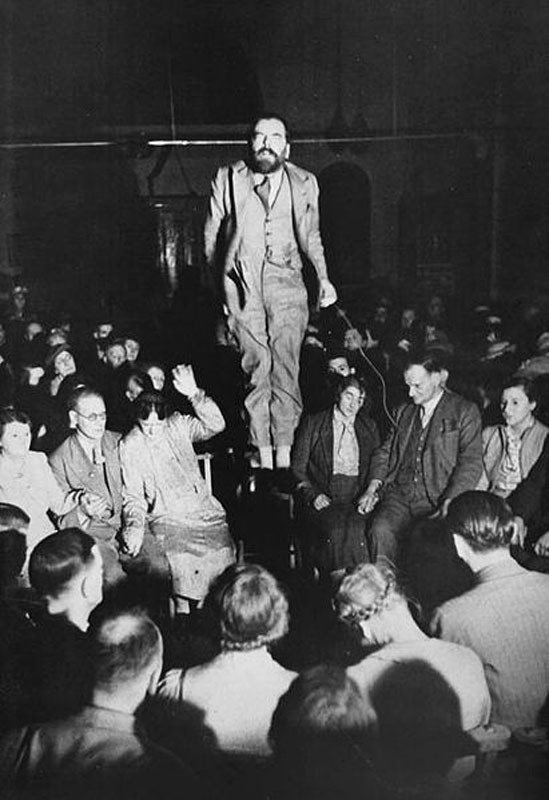 Fraud medium Colin Evans in levitation, 13 June 1938 (source Wikipedia). We could even digg deeper into these “beliefs” and start looking at old illustrations and engravings that depicts relations to “things that we don’t understand”, that are “beyond our understanding”… and that possibly show “tools” or strange machinery to observe or communicate with these “unknown things” (while trying to understand them)? Spiritualism in 1855, author unknown. J.G. Heck. 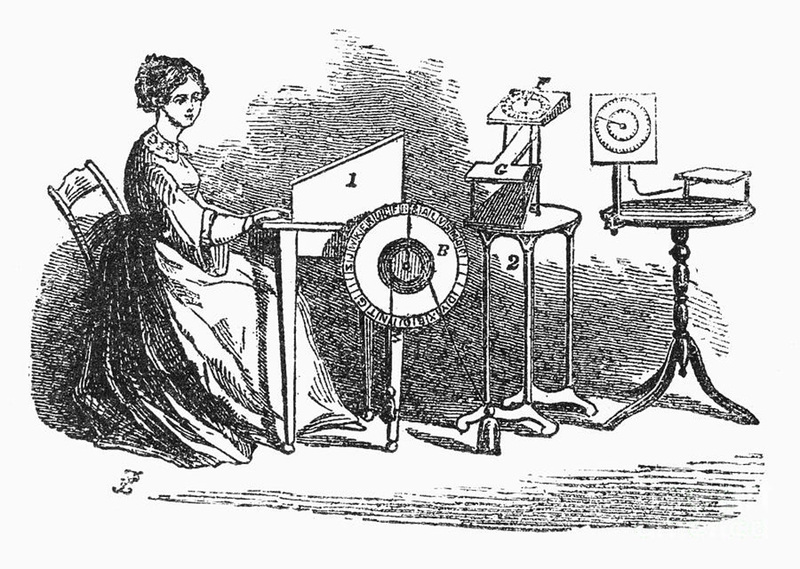 A plate from “The Iconographic Encyclopedia of Science, Literature and Art” published in 1851. 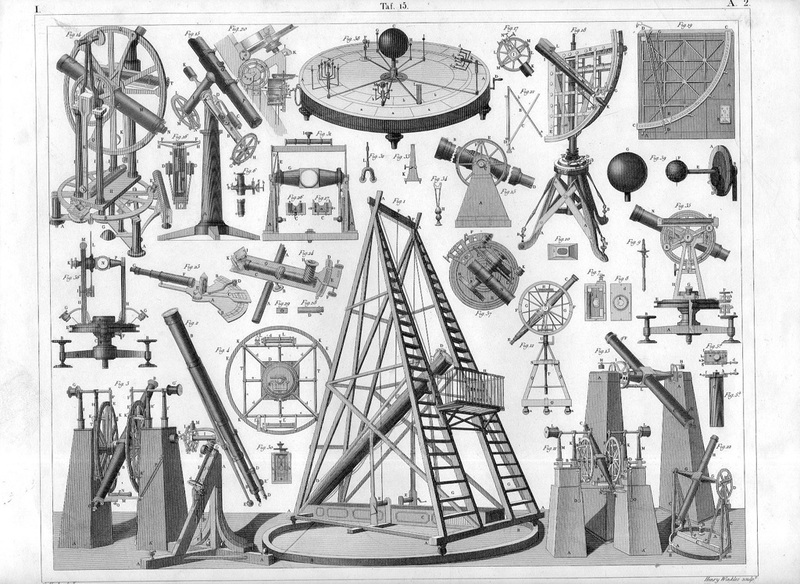 Astronomy tools. Submerged by the presentiment of a nature that was in all dimensions dominating humans, that remained at that time mostly unexplained and mysterious, if not dangerous and feared, some painters took on this feeling, named “sublime” after Edmund Burke’s Philosophical Enquiry (1757), and start painting dramatic scenes of humans facing the forces of nature. 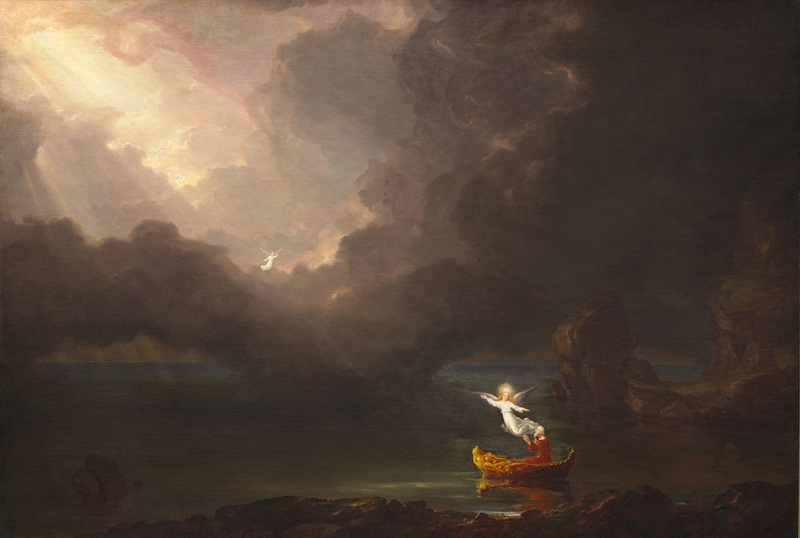 Thomas Cole, “The Voyage of Life: Old Age”, 1842. National Gallery of Art, Washington DC. It is not by chance of course that I’ll end my “esoteric comments about the brief” post with this idea of the Sublime. This is because recently, the concept found a new life in regard to technology and its central yet “unexplained, mysterious, if not dangerous and feared” role in our contemporary society. The term got completed at this occasion to become the “Technological Sublime”, thus implicitly comparing the once dominant and “beyond our understanding” Nature to our contemporary technology. “American Technological Sublime” by D. E. Nye, published in 1994 (MIT Press) was certainly one of the first book to join the two terms. It continues the exploration of the social construction of technology initiated in his previous book, “Electrifying America” (MIT Press, 1990). More recently in 2011, the idea popup again on the blog of Next Nature in an article simply entitled The Technological Sublime. So, to complete my post with a last question, is the Cloud, that everybody uses but nobody seems to understand, a technologically sublime artifact? Wouldn’ it be ironic that an infrastructure, which aim is to be absolutely rational and functional, ultimately contributes to creates a completely opposite feeling? Quotes are from Dev Joshi’s brief, “The Everlasting Shadow“.